This product has been designed to provide trouble free, reliable operation. It benefits from both a LINDY 2 year warranty and free lifetime technical support. To ensure correct use, please read this manual carefully and retain it for future reference. 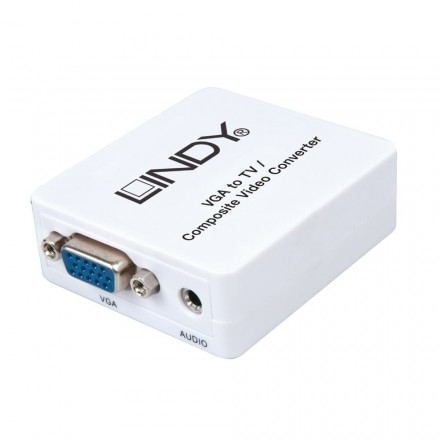 This VGA to TV converter is designed to convert a VGA Signal from 640x480 up to 1920x1080 to interlaced NTSC or PAL Composite video.